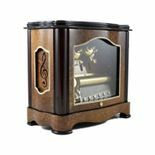 Music Box Attic proudly presents music gifts from Reuge, a European innovator in precision mechanical music. 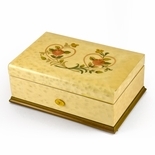 Founded in 1865, Reuge is the undisputed leader of the luxury music box industry. 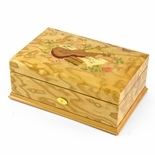 This pioneering company located in Sainte-Croix, Switzerland is the only manufacturer of high-hand music boxes and the originator of Switzerland�s renowned mechanical singing birds. 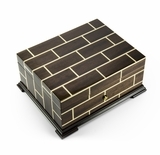 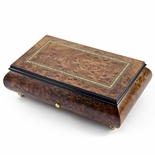 At Music Box Attic, we�re proud to carry musical themed gifts from Reuge. 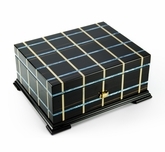 It�s our pleasure to offer you some of Reuge�s most sought-after creations. 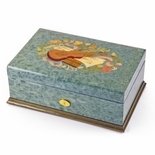 These 72-note music boxes are extraordinary. 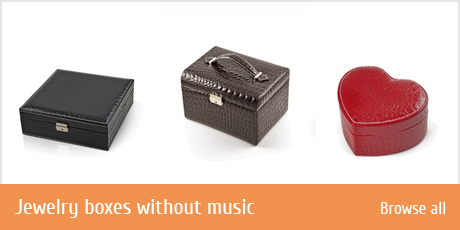 Their precise musical mechanics are unrivaled. 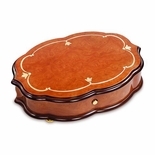 This is sound quality of exceptional richness. 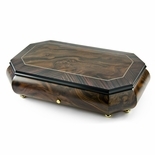 Designed for your listening pleasure, a genuine Reuge is also a treat for the eyes. 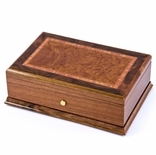 Each of the Reuge 72-note mechanisms is beautifully presented. 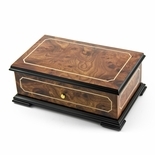 From handcrafted rosewood and walnut with ornament inlay to beveled glass and mother-of-pearl, Reuge gives you so many wonderful choices. 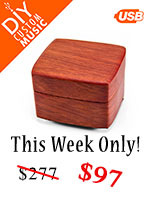 This is musical art at its finest. 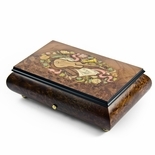 At Music Box Attic, exceptional quality and value go hand in hand. 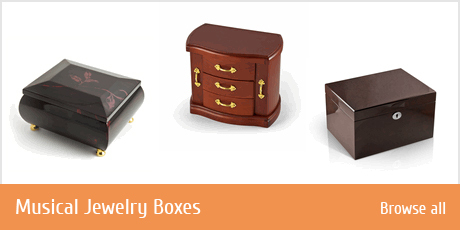 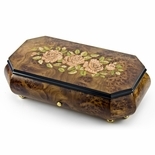 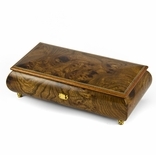 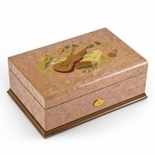 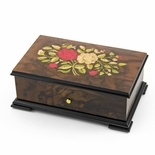 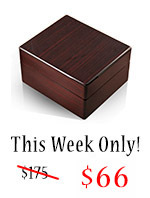 As a discerning shopper, you�ll save money on every Reuge musical box in our collection. 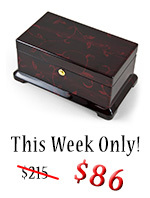 We offer discounts of up to 40 percent off original prices. 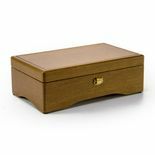 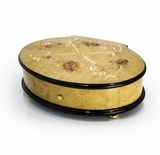 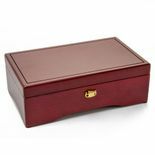 So whether you�re shopping for the best gift for that special someone or adding to your collection, a Reuge music box is a treasure indeed.